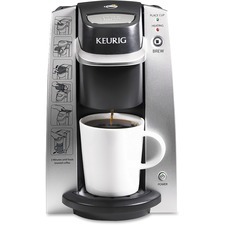 Store both K-Cup® and K-Carafe™ pods. 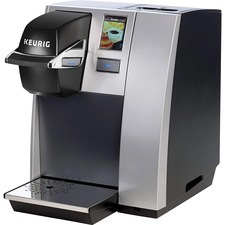 Drawer fits under your coffee maker.Holds 28 K-Cups.11"W x 13-3/4"D x 4"H.
Caramel Drizzle Medium Roast.Soft, smooth caramel flavour with a warm finish.24/box. Classic Medium Roast.A rich, full-bodied flavour and distinct eye-opening aroma.24/box. Lively Columbian Medium Roast.The aroma and fresh taste of 100% Colombian beans.24/box. Hot Apple Cider Mix.Brew up honest hot apple cider made with real apples, brown sugar and a hint of cinnamon.24/box.